The first item that greets you when you fire up is the Lock screen. 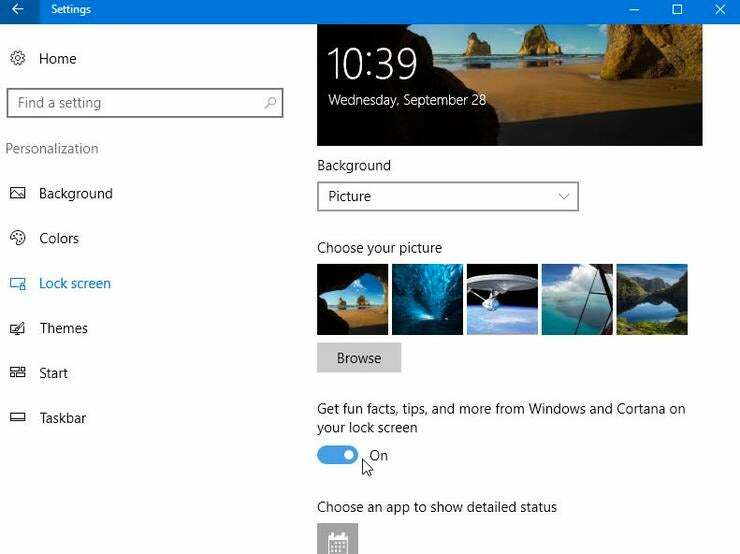 Clicking or tapping on it brings you to the sign-in screen where you log in to Windows. Yes, the Lock screen seems unnecessary, but it carries with it some tidbits that can be useful before you even launch Windows. From the Lock screen, you can view information from certain apps. You can chat with Cortana if you've installed the new . 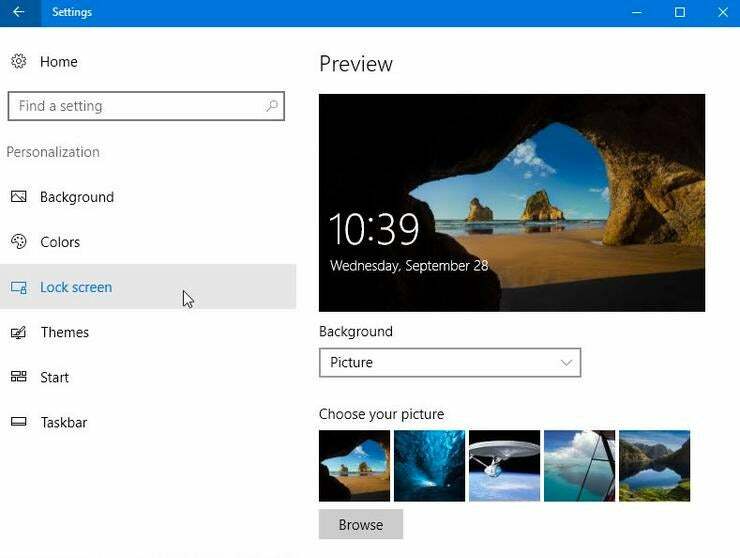 And you can customize the screen with your favorite background image or slideshow. Here's how. Next you can choose an app to see specific details from it on the Lock screen. Click on the icon under the phrase "Choose an app to show detailed status." You can opt to see details from Weather, Messaging, Calendar, Mail and other apps. For example, choosing Calendar might show you an appointment scheduled today, while choosing Weather may display the current temperature. You can then also choose several apps to display a quick status, which simply means fewer details. Click on each icon under the phrase "Choose apps to show quick status." Again, you can select such apps as Weather, Messaging and Calendar as well as Alarms & Clock, Mail and Windows Store. Finally, the coolest option of all may be the ability to chat with Cortana at the Lock screen without having to log in. 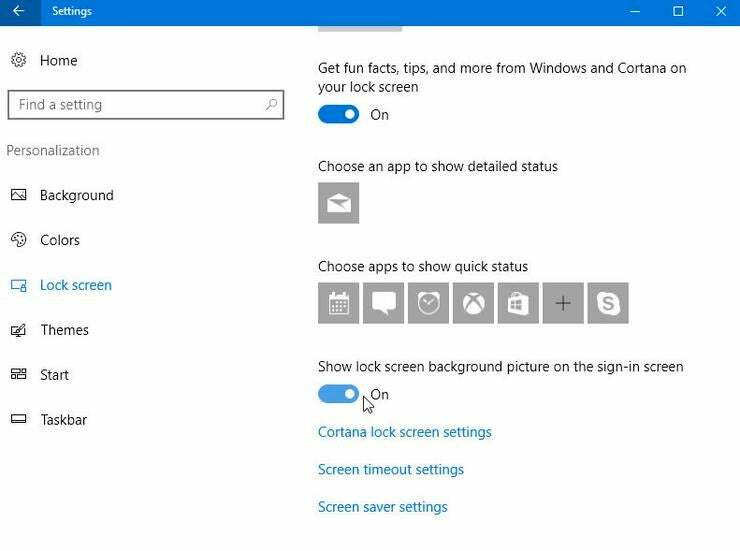 Just click on the link that says: "Cortana lock screen settings." 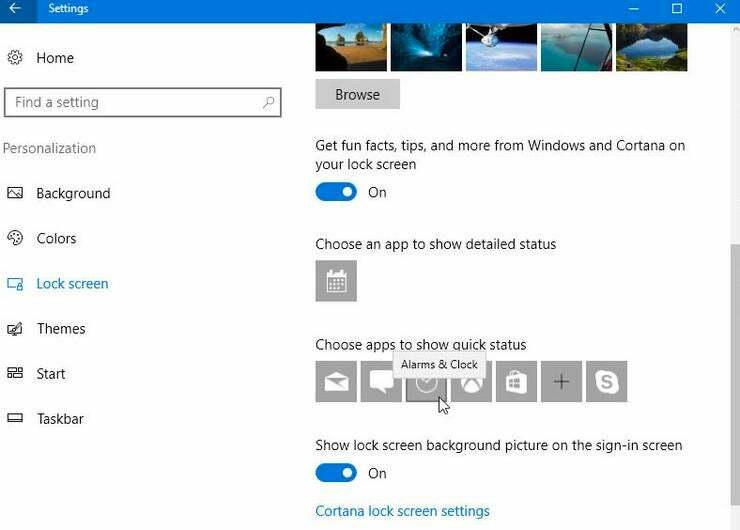 The Cortana settings pane appears, displaying an option that says: "Use Cortana even when my device is locked." 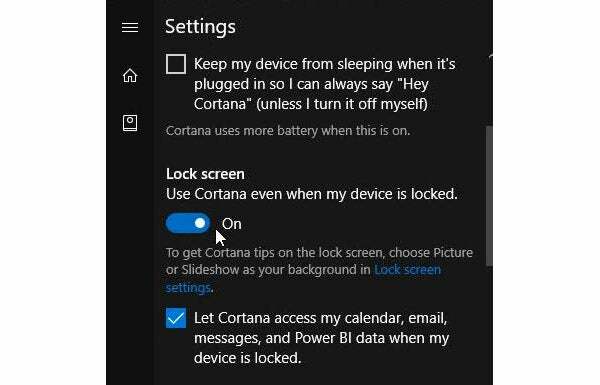 Make sure that setting is enabled, and you'll be able to say "Hey Cortana," and post a question or command to Microsoft's voice assistant right from the Lock screen. 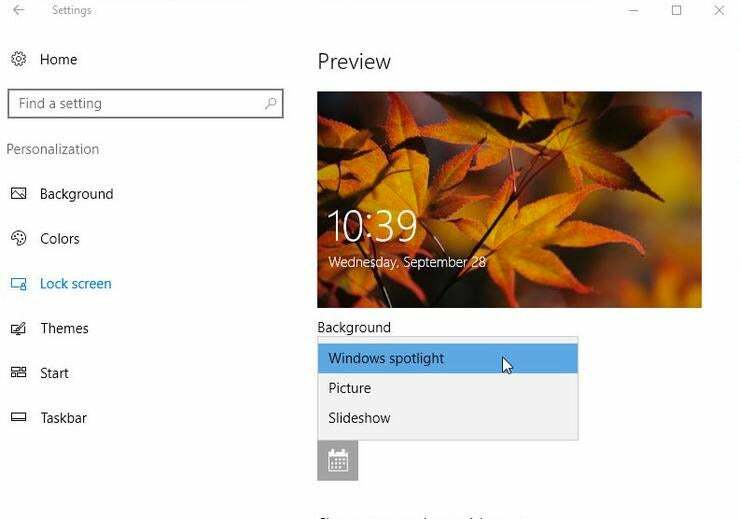 This option is available only if you've installed the Windows 10 Anniversary update. 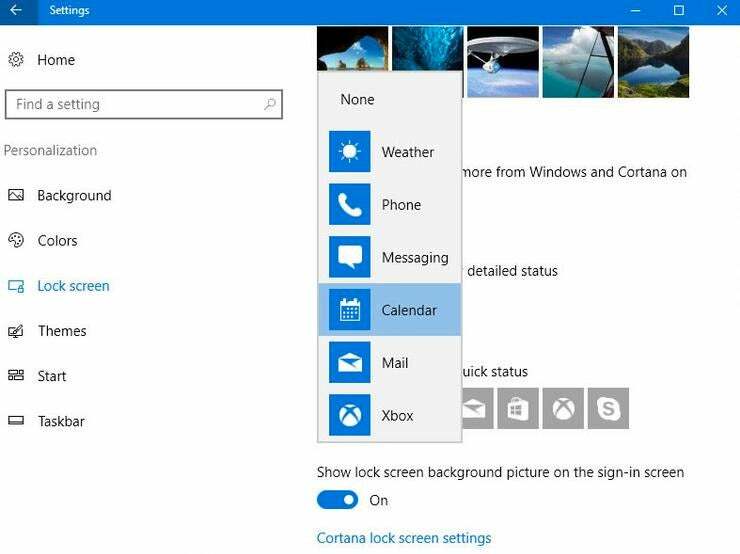 Scroll down a bit further and you can also turn on an option to "Let Cortana manage my calendar, email, messages and Power BI data when my device is locked."